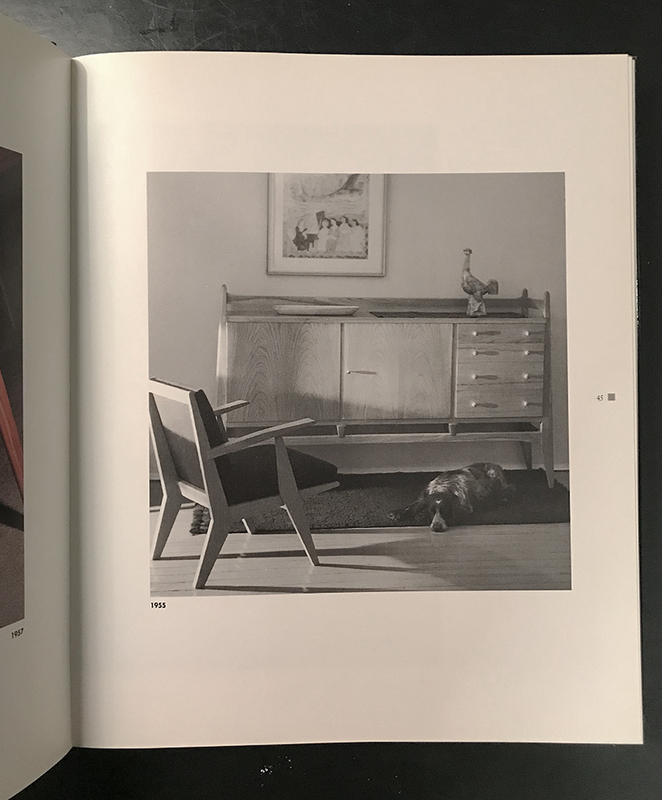 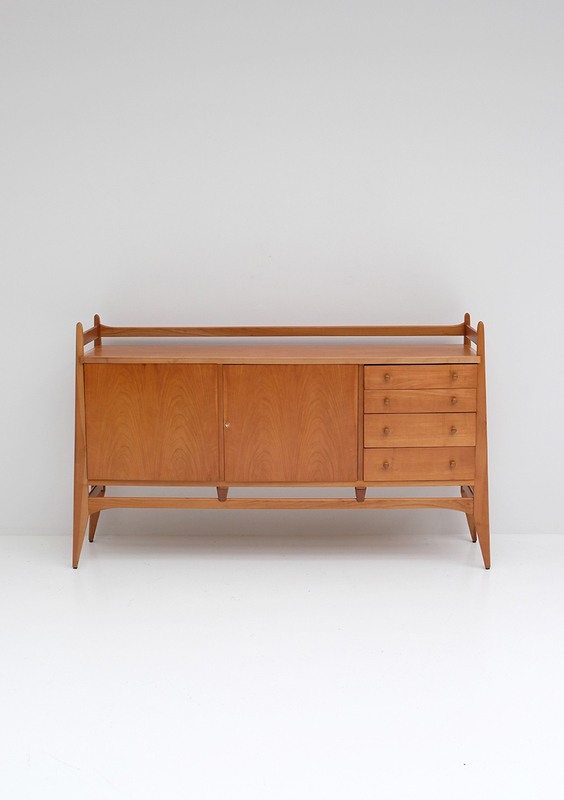 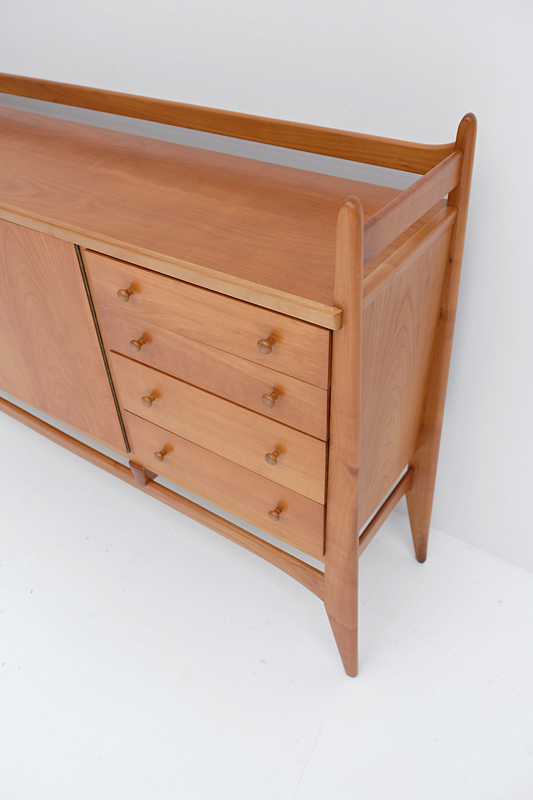 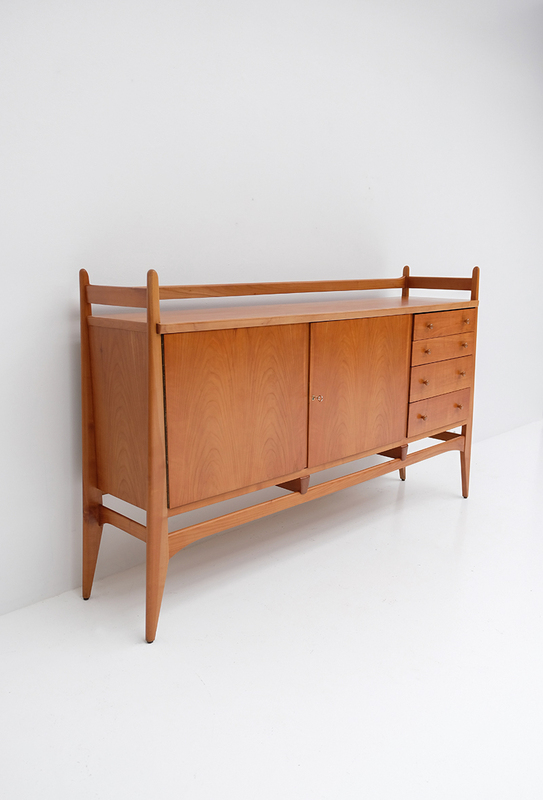 Emiel Veranneman was internationally known as an interior and furniture designer. 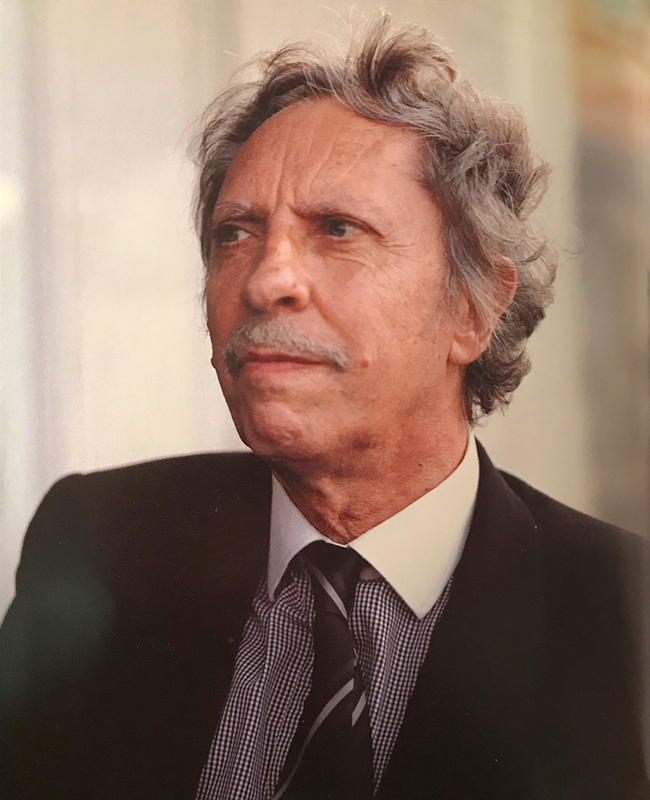 In 1974 he established his own foundation at Kruishoutem where his own work, and also the work of national and international artists, was shown. 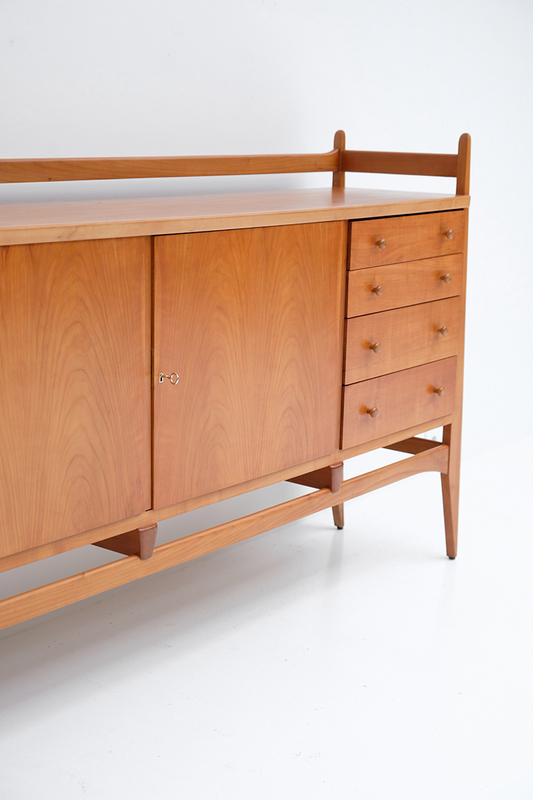 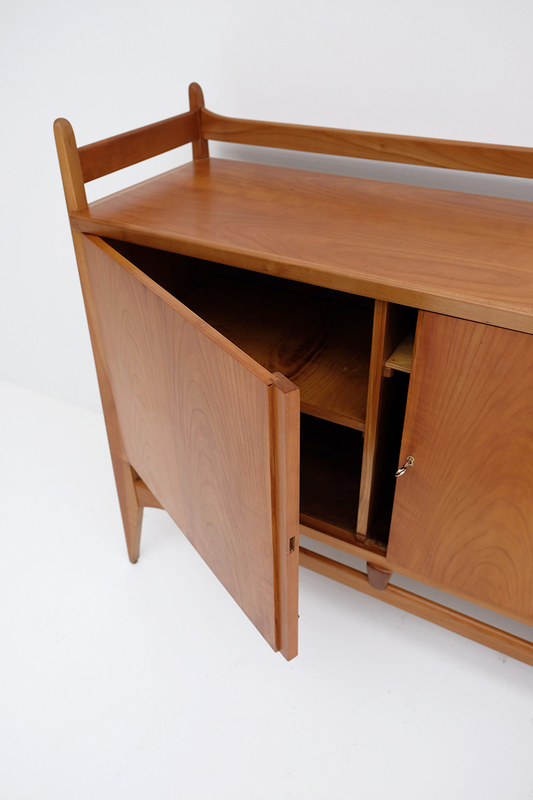 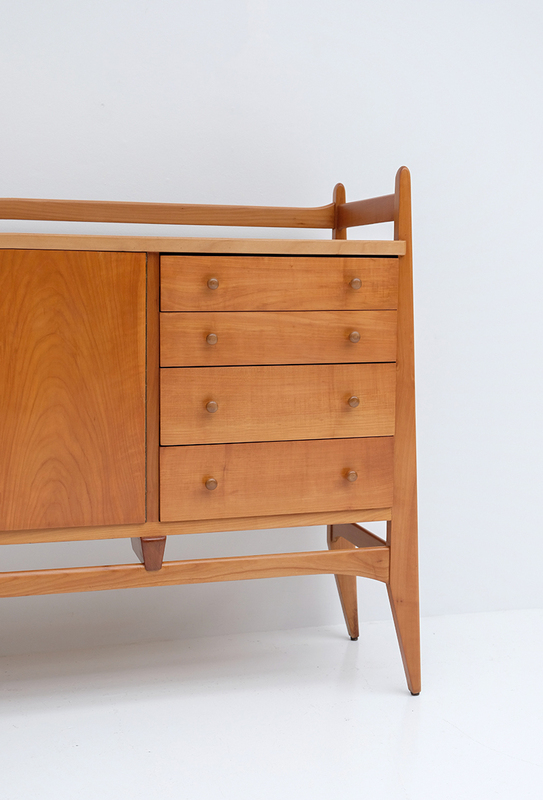 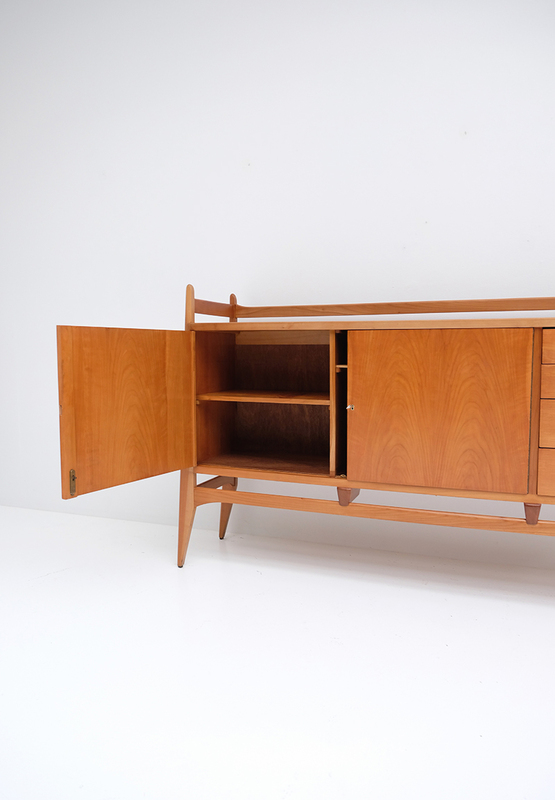 This exclusive cabinet was designed in 1955 and is an early work of Veranneman which is almost impossible to find these days. 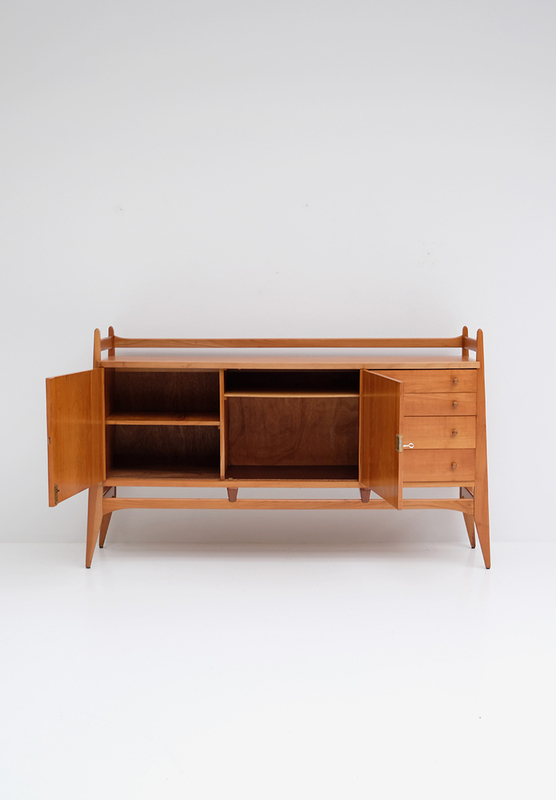 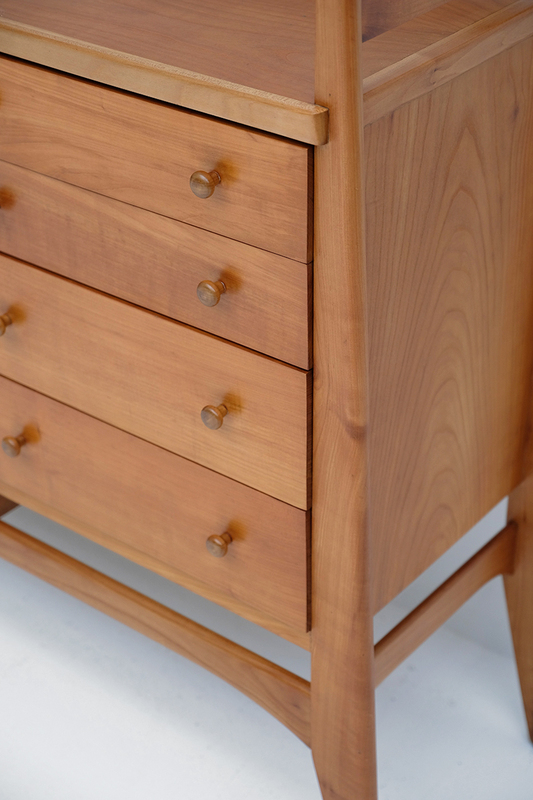 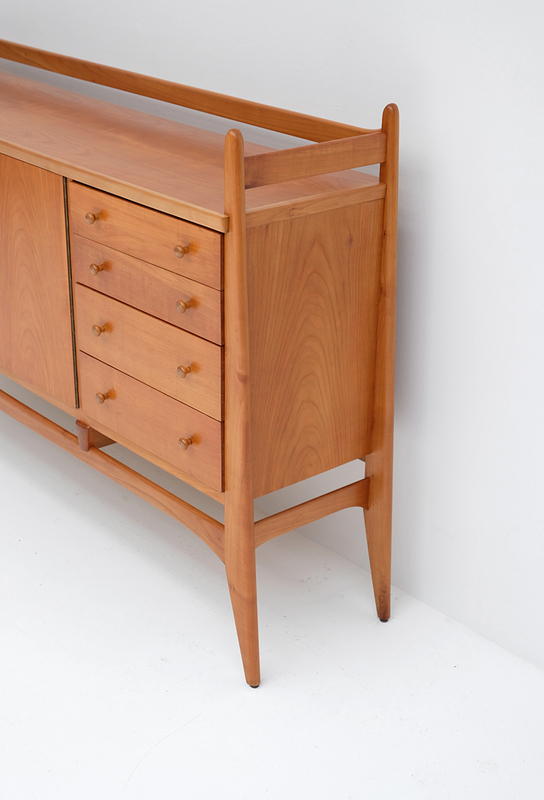 It is build in a honey colored wood type and contains plenty of storage space. 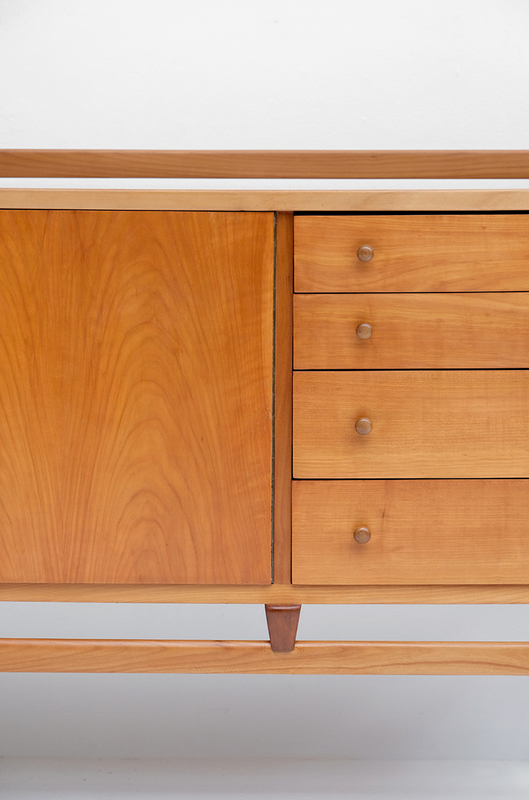 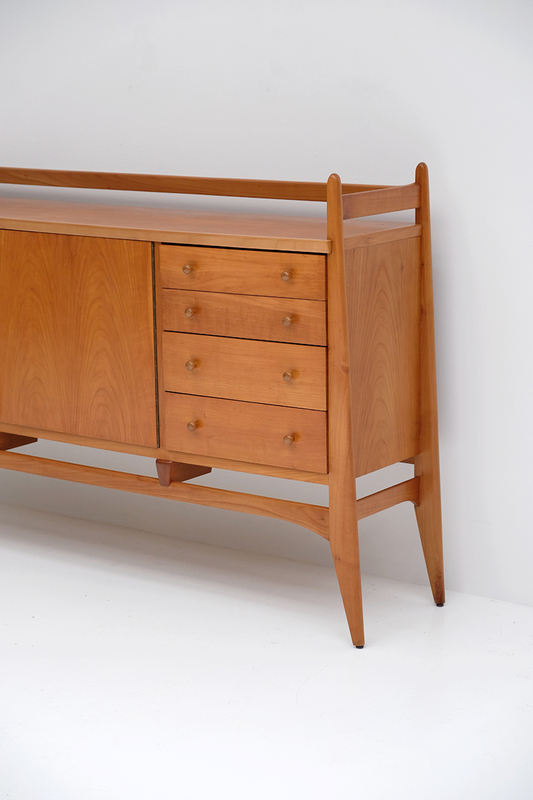 The sideboard floats in a elegant organic shaped wooden frame. 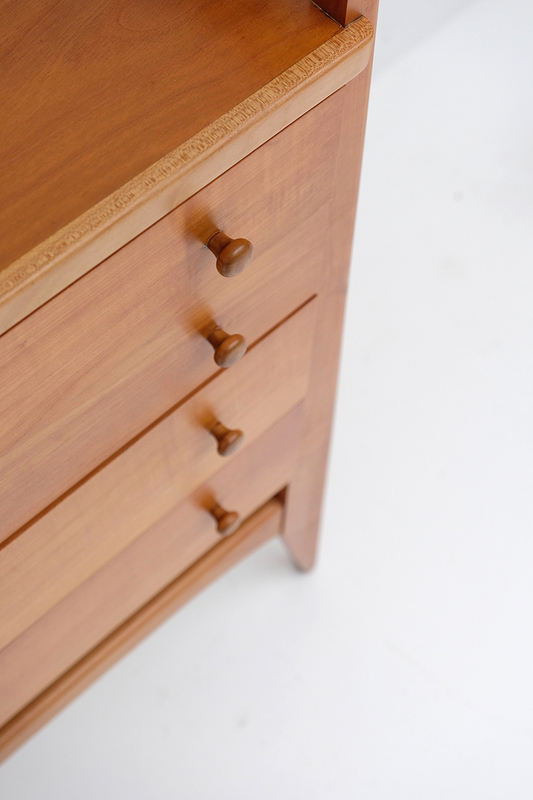 The cabinet has been well kept through the years and stands in an excellent condition. 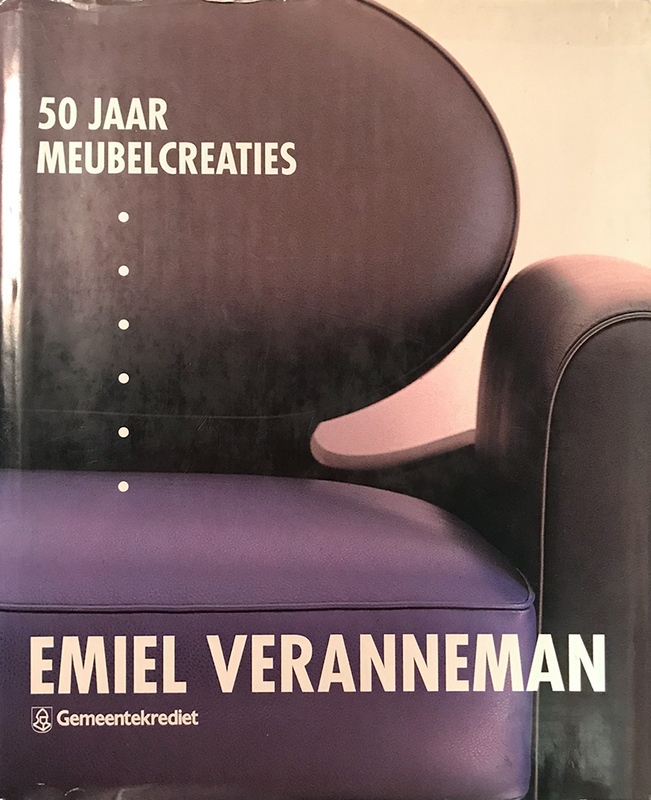 The item is also documented at the book of 50 years meubelcreaties - Emiel Veranneman on 45.